Hi all, it’s Vicki here from All I Do Is Stamp. 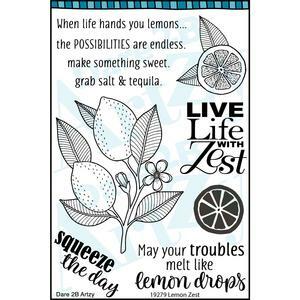 Today, I am using the Lemon Zest stamp set. I really love this set and how easy it is to color. I also used some of the super fun designer paper from the Lemons and Ladybugs Paper Pack. I just adore this clean and precise image! And, once again, it is really fun to color! Have you bought your set yet? I highly recommend it :).